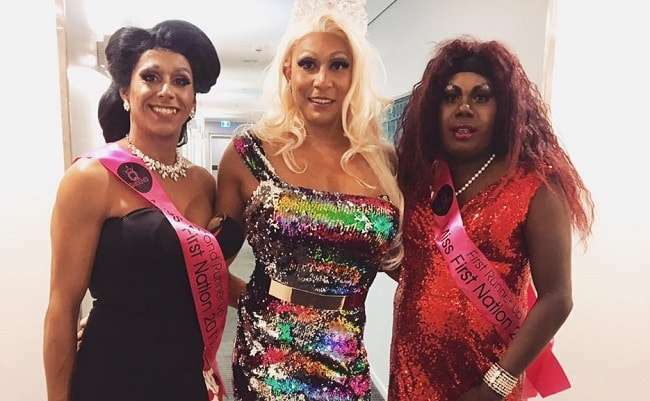 A new documentary will follow a group of fabulous Indigenous drag queens as they prepared to compete in the inaugural Miss First Nations pageant in the Northern Territory. 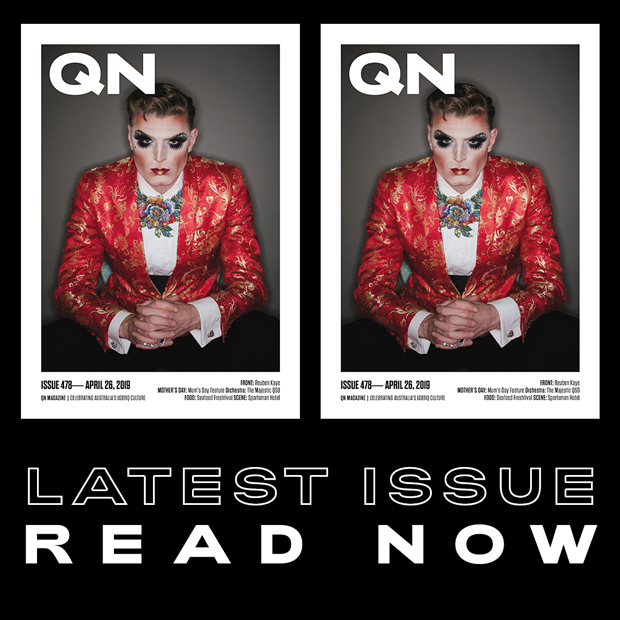 When organisers opened applications for the new contest earlier this year, they said they were overwhelmed by the response and the anticipated event was held over five days last week during this year’s Darwin Pride Festival. At the Grand Final last Friday night, Josephine Baker (pictured above, centre) was crowned Miss First Nation 2017. 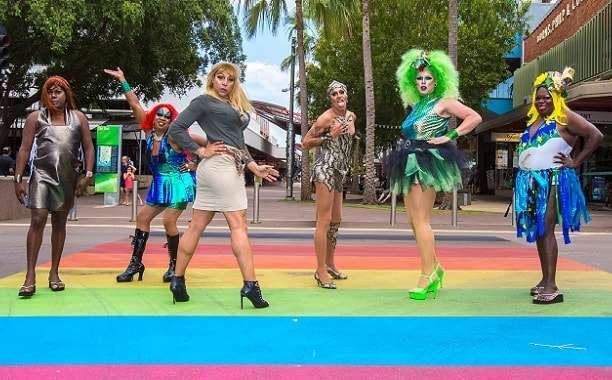 Organiser Ben Graetz, who performs in Darwin as drag queen Miss Ellaneous, said of the competion: “I’m just really passionate about making the Indigenous drag community really visible, because it’s really invisible nationally. Now a one-hour documentary “Black Divaz” is being produced for SBS’ NITV channel, following six Indigenous drag queens from around Australia as they compete in challenges in the Darwin heat to win the coveted crown. The documentary will take viewers behind-the-scenes and focus on the personal stories of three of the contestants, travelling to their hometowns to reveal the challenges and triumphs that have made them who they are and brought them to the stage. “’Black Divaz’ gives our mob a whole new kind of role model, only instead of running for Olympic gold, singing in a music video, or acting on the big or small screen, these role models perform in heels, glitter and huge wigs,” the documentary’s director Adrian Russell Wills said. As well as glitz and glam, he said the documentary will cover more serious issues facing Indigenous communities including homophobia and youth suicide. “My reason for making this film is because I feel that in our communities we still haven’t really had the conversation about homophobia and acceptance of our LGBTQI+ family members. “Too many of our youth still take their lives due to the shame and fear of rejection because of who they really are,” Wills said. “In our film our extraordinary characters give us their stories, their humour, their sisterhood and their hearts, all in a beautiful truth. The documentary Black Divaz will screen on SBS’ NITV channel in 2018. If you need someone to talk to, help is available from QLife on 1800 184 527, online at QLife.org.au, or Lifeline on 13 11 14.